January was over before we could say Havaianas Australia Day Thong Challenge. With the event wrapped up and thongs put away, we bid farewell to Summer. Florence has just returned from San Francisco where she attended the Digital PR Next Practices Summit, read all about it below. In a few weeks, Kim and Margarita are heading off to Texas to attend SxSW, a festival for the global interactive community, which, year after year, is the launching pad for digital innovation. Follow Klick on Twitter to stay in the know and follow their travels. We hope you've had a great start to 2012 and look forward to catching up with you soon. Australia Day spirit was in full force for this year’s Havaianas Australia Day Thong Challenge. Cottesloe reclaimed the title from Bondi setting a new world record creating the ‘longest line of inflatable airbeds on the ocean’. Check out the Havaianas Australia Facebook page for all the images! The event saw a total of 5,226 people enter the water across Australia, raising $52,260 for the Nippers. We’re sad to see another Australia Day pass but are super excited for 2013. Our bet is on Bondi to take the title back! Our clients have us waking up on top of the world. Well, we could be waking up on top of the world... If we were in Tokyo or Dubai. 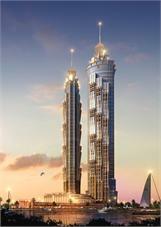 This week news has come from Marriott International that the JW Marriott Marquis Dubai will be completed later this year. With 1,608 flash new rooms, the JW Marriott Marquis Dubai will overtake the world's current tallest hotel, The Ritz-Carlton, Hong Kong. Luxurious hotels have never seen such great heights! The term "gap in the market" can be grouped with other such terms as "game-changer" and "flashmob". However, in this instance, the use of the term is valid. 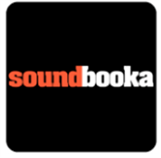 Klick has partnered with Soundbooka, Australia’s first online integrated booking platform for musicians, DJs and audio professionals. Set to revolutionise how artists are hired nationwide, Soundbooka allows artists and their managers greater exposure and control over their gigs. Last week Florence attended the PR News Digital PR Next Practices Summit in the vibrant city of San Francisco. With keynote speakers from leading global companies, the summit covered all the latest in Digital PR, reinforcing our current practices and providing a sneak peak into the future.